Willkommen! Bienvenue! Welcome! Dobro pozhalovat’! Velkommen! 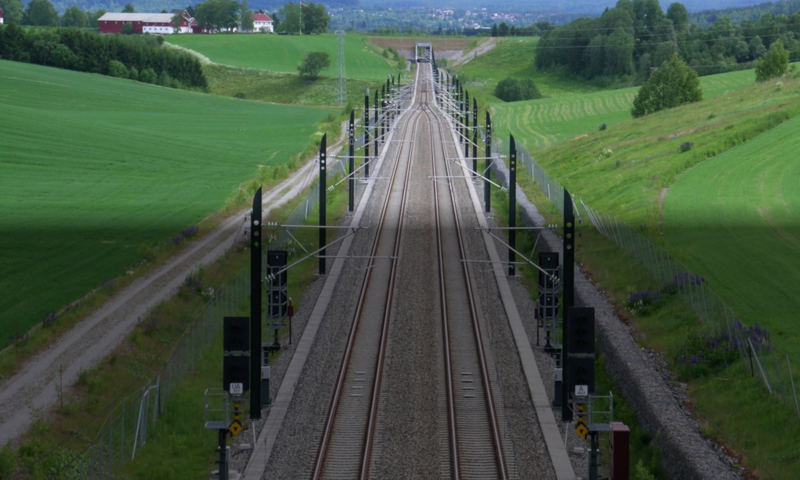 Welcome to RailCOMPLETE® – the key to modern and efficient modeling of railway infrastructure. RailCOMPLETE turns your model into an electronic relay stick which enables owners, designers, contractors and testers to organize and edit railway data as well as produce tables, 2D drawings and 3D visualizations for large multi-discipline railway infrastructure projects. RailCOMPLETE offers support during design, ready-for-construction reviews, construction, acceptance testing and as-built documentation. RailCOMPLETE keeps data synchronized and updated and automates the tedious process of producing consistent and error-free tables and drawings. Just move your objects and edit their properties as needed, click the Refresh button and export your model with updated and consistent tables, drawings and 3D visualization. RailCOMPLETE operates as a plug-in to your CAD system, which means that you must have access to a compatible CAD system running on a reasonably powerful computer. Currently, RailCOMPLETE will run under the three most recent editions of AutoCAD®, either plain AutoCAD or one of the many add-on editions such as Map 3D, Civil 3D etc. RailCOMPLETE may not work fully with ‘Lite’ versions (LT), ‘student edition’ versions (SE) or free trial versions of the CAD system. RailCOMPLETE has been developed in order to provide professionals within the railway infrastructure community with a versatile and modern tool for entering, visualizing, editing, checking and exporting information. As the usage of RailCOMPLETE expands, all involved parties will enjoy the freedom and the ease of sharing complex and detailed information in projects and in operations. In addition to storing drawing details in the DWG format, RailCOMPLETE fully exploits the meta-data storage features of AutoCAD. This means that data such as model names, article codes, relations between different objects, construction stage information etc is stored in a de facto standard AutoCAD format. RailCOMPLETE has been designed to protect internal data from inadvertent tampering. In addition, there are many ways to audit the integrity of a RailCOMPLETE model and to repair damaged data. RailCOMPLETE has been designed to withstand the cruel effects of time. As time passes by, software and file formats will eventually be replaced with newer versions. Customers change the way they represent their assets, spare parts go out of production and new asset variants appear. The AutoCAD suite of tools and file formats have been backwards compatible since the 1990’s, in the sense that newer versions can always read older files and convert them to a more recent file format. Commands and internal computer interfaces are seldom deprecated, only expanded. Since a RailCOMPLETE computer file is a plain AutoCAD DWG file, we believe that it will continue to be readable also in the decades to come. The challenge of changing assets over time has been met in RailCOMPLETE by mimicking the powerful concepts found in genetics. Picture a railway project as a living creature, and a single computer file as one of its many cells. RailCOMPLETE models this creature’s tiniest parts using a kind of ‘genetic code’, which we call the Object Type Definitions (or ‘OTD’ for short). The objects that are inserted into the computer model are all described in this OTD, and the whole OTD is stored in every RailCOMPLETE computer file, just as the whole DNA code will be found in every cell of a body. In a healthy normal individual – i.e., in a well-managed railway project – all computer files share the same OTD, just as all cells in a body share the same DNA. If a computer file is introduced with different but still compatible OTD, then minor issues may occur, similar to an immune system response in a living individual. In order to upgrade an existing object’s model files to a more recent version of the OTD, RailCOMPLETE provides a mapping mechanism, which involves replacement of RailCOMPLETE system files and mapping of deprecated representations into new representations. The people making changes to an existing OTD – the genetic mutations, if you like – are so-called ‘RailCOMPLETE Agents’. A RailCOMPLETE agent is a trusted company which knows your local railway administration’s needs in detail, and which also knows the inner workings of the RailCOMPLETE software. Whenever a new object needs modeling, or an existing one needs to be adjusted, then the agent will provide this service on behalf of the local railway administration. The agent may be part of the administration itself, or it may be a competent local engineering company. The agent will make the new OTD accessible for download to all relevant registered users working for the railway administration, and local superusers will guide their colleagues in the OTD update process. Although we should avoid it, from time to time there will be a need for changing an existing function’s inner way of working such that the model data for a railway project must be modified in ways that the ordinary OTD update process cannot handle. In such cases the RailCOMPLETE development team provides a so-called ‘patch’ on the download site. This patch is simply yet another RailCOMPLETE command that you download and install on your computer, and which will be automatically run when needed – the patch figures out this by itself.